← Dead Reckonings #17 is available! I am a big fan of nature and science-themed artwork, whether inspired by natural phenomenon or created by physical processes. In my office — which includes several pieces of work by Artologica, by the way — I have the following eye-catching piece. This is what is known as a Lichtenberg figure, named after the German scientist Georg Christoph Lichtenberg (1742-1799), who discovered the effect in 1777. It is sometimes referred to as “frozen lightning,” which is actually more accurate than it might appear at first. My decorative Lichtenberg figure — which I purchased online — was produced with the aid of a particle accelerator, obviously not something that people readily have on hand. 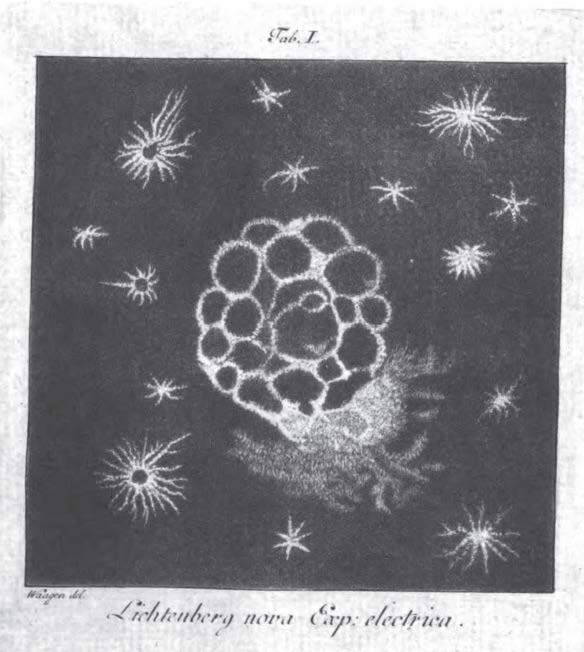 However, it is also possible to create such figures at home in a crude manner not far from Lichtenberg’s original technique. 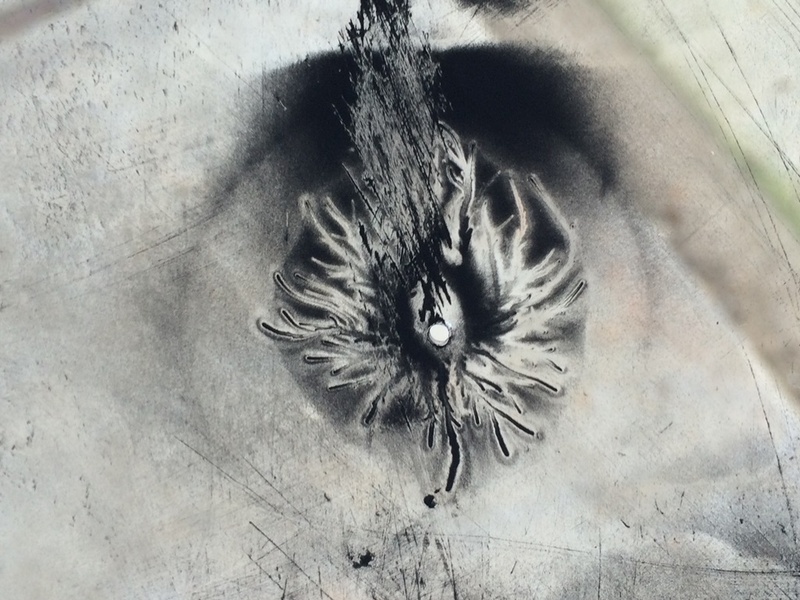 But first: how is a Lichtenberg figure formed, and what does it represent? The reference to “frozen lightning” is not a bad description because Lichtenberg figures are formed by essentially the same process as a lightning bolt, albeit on a much smaller scale. In a thunderstorm, a large electric potential is formed between a negatively-charged cloud and the positively-charged ground. Opposite electric charges attract, so there is a strong “pressure” for the charges to leap the gap from ground to cloud. However, the atmosphere is a poor conductor, so the charges are prohibited from making the jump until enough has built up to essentially force a connection. When it has, a downward leader — a channel of ionized air — is created from the cloud towards the ground, often branching into many paths and forming the characteristic shape of a lightning bolt. 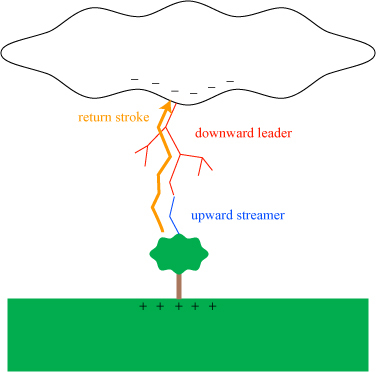 Near the ground, the negative charge encourages the formation of upward streamer; when a leader and a streamer meet, a massive return stroke — the actual flash of lightning — is created. Though the electrons flow from the cloud to the ground, the actual flash of lightning goes from the ground up. Relevant to our discussion about Lichtenberg figures is that the channel formed by the initial strike can persist, allowing additional return strokes and retaining charge along its length. For lightning, that channel dissipates very quickly, but for solid insulators, lingering charge can persist for quite some time. 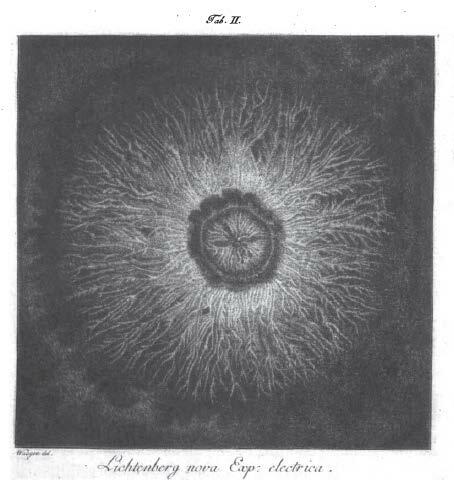 In essence, this is what one sees in a Lichtenberg figure — the channel formed through an insulator by a discharge of electricity along it/through it. 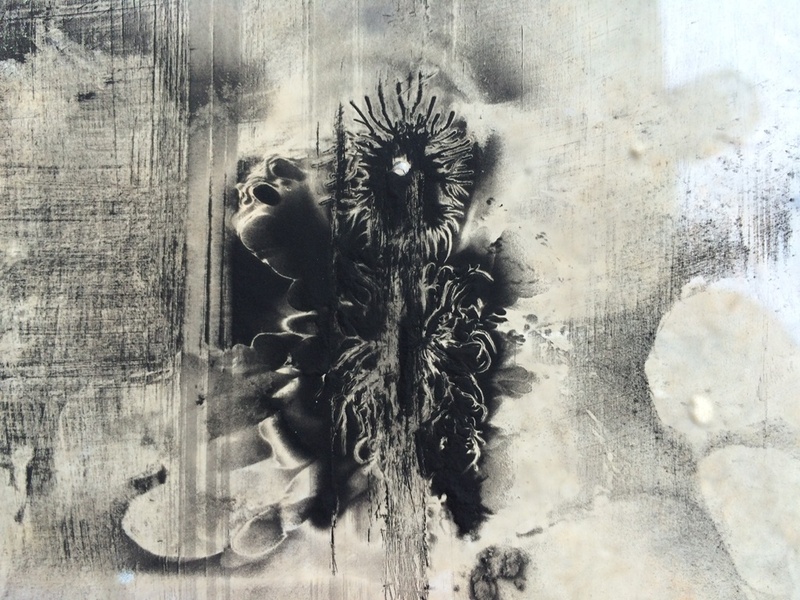 In a commercial Lichtenberg figure such as mine shown above, an electron beam from a particle accelerator is used to irradiate a piece of clear acrylic. The high-energy electrons, which have energies on order of millions of electron-volts, are embedded and trapped in the plastic. When an edge of the plastic is tapped with a nail, the electrons are given a path to escape, and they flow to the exit point from all regions of the plastic, burning a sort of “reverse lightning bolt” into the plastic in the process. You can watch a video of this in action, in fact. Lichtenberg didn’t have a particle accelerator in 1777, but temporary patterns can be formed with much lower electrical voltages. 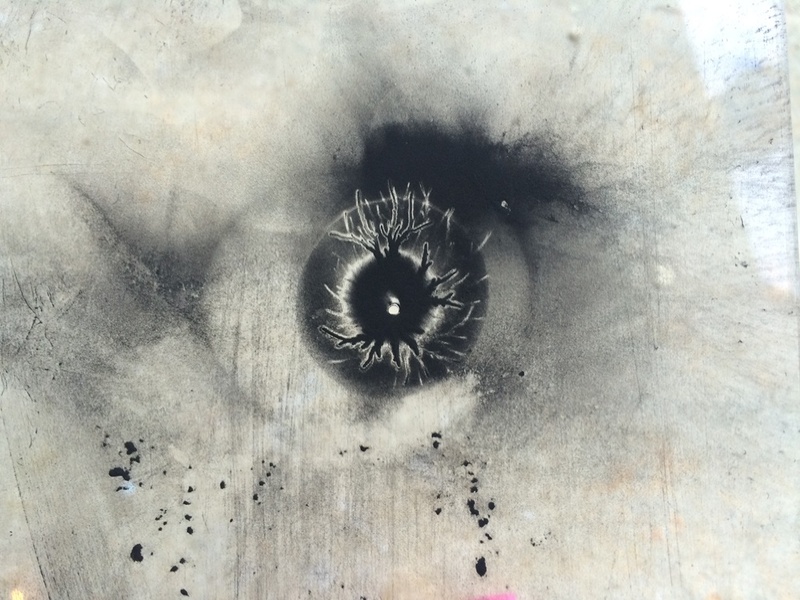 The process is, in fact, quite simple: one discharges a static electrical charge onto an insulator (a thin piece of acrylic, in my case) and then sprinkles a powder onto the surface (printer toner, in my case) that is attracted or repelled by the lingering charge and visualizes the pattern. Let’s look at my setup and then we can look back at Lichtenberg’s work. In my case, I happen to have on hand a Wimshurst machine; my particular model can be hand-cranked up to a 50,000 volt potential difference between its poles. One can even use the static electricity generated from rubbing your feet on the floor on a dry day — it is possible to produce some 25,000 volts in this manner. A story from my childhood provides a vivid demonstration of the power of hand-generated static electricity. One Christmas when I was around 8 years old, my grandmother knitted me a pair of wool slippers. As you may know, wool is a reeeeally good material for generating a static charge. One day, my sister said or did something that made me angry and I was chasing her around the house in my slippers, through the kitchen, dining room and family room, and back again. 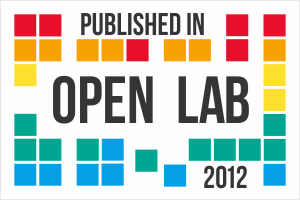 This is illustrated below. Path of pursuit. Yeah, the carpeting was some shade of green, as I remember. It was the 70s. The chase ran again and again over the family room carpeting. Each time we circled, I built up even more of a static charge on myself. 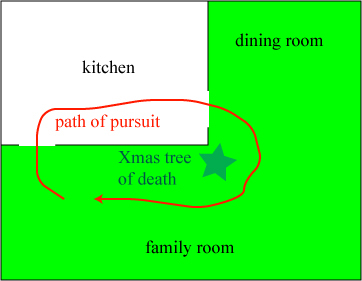 By the third or forth time around the loop, the tinsel on the Christmas tree reached out to grab and electrocute me. The shock made me hit the floor, and my sister just stood there laughing at me, which made me get up and chase her around several times again, and get attacked by the tree of death again. This went on for at least three shocks. I would like to say that this “sparked” my love of physics, but I’ll just leave it as an illustration of the power of static electricity. Oh, and this is relevant. Anyway — where was I? 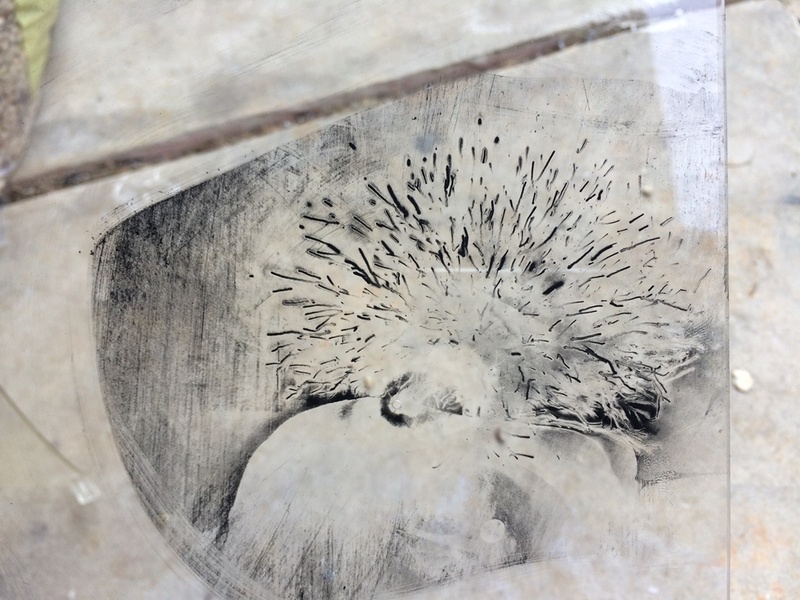 Oh, you’ll also need sheets of clear acrylic to make a Lichtenberg figure, which you can easily get online. 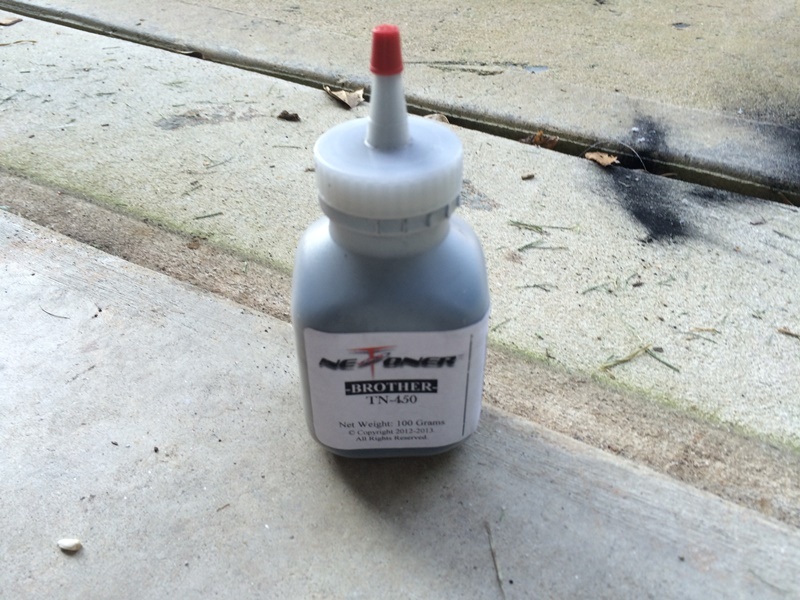 And you’ll also need a small bottle of printer toner, such as seen below. There are a couple of web sites online (see, for instance, here and here) that suggest one should attach one of the electrical poles of the Wimshurst machine to a sharp pointed object, such as an awl, and then touch this to the acrylic sheet to discharge it. The only problem? I tried this, and it doesn’t seem to work! I was already wondering about this before I made the attempt, as it seemed troubling for two reasons. First, the two poles of a Wimshurst machine each hold half of the available electrical energy. Using one for a discharge is basically running at half power. Second, since the acrylic is an insulator, electricity doesn’t really want to travel through it unless it has somewhere to go! It may be that I just don’t have a high enough power machine, but I tried two alternate configurations that produced results. 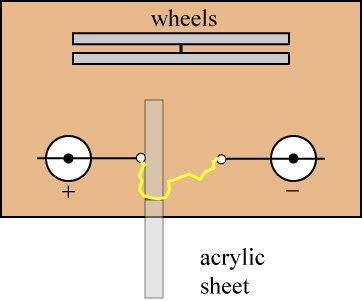 First, I simply held the edge of the acrylic sheet between the poles of the machine, and let the arc curve around the acrylic, as roughly illustrated in a top-down view below. 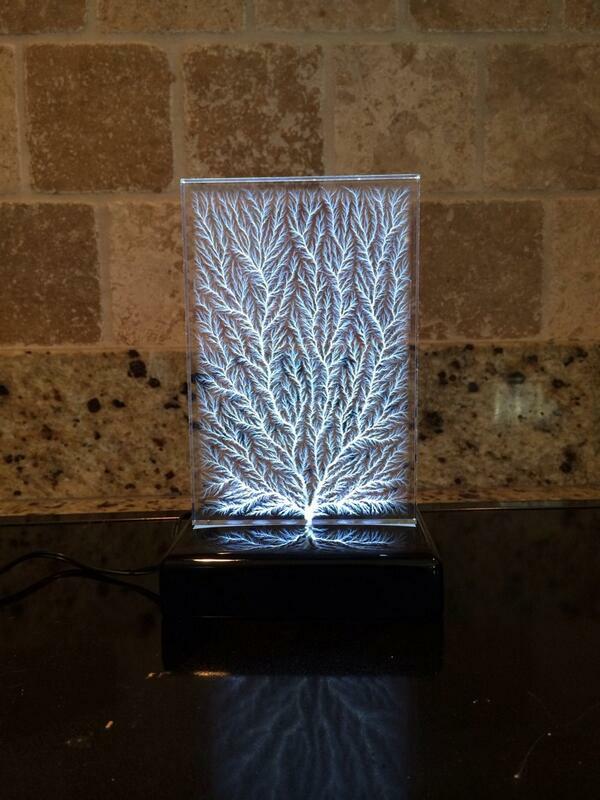 As the electric discharge travels around the edge of the sheet, it leaves a Lichtenberg figure in its wake. Then, with a careful application of toner powder — not too much! — one can see the figure. My first noteworthy Lichtenberg figure. Note the two long branching trails on the lower side of an open patch. I made a number of attempts with this method. 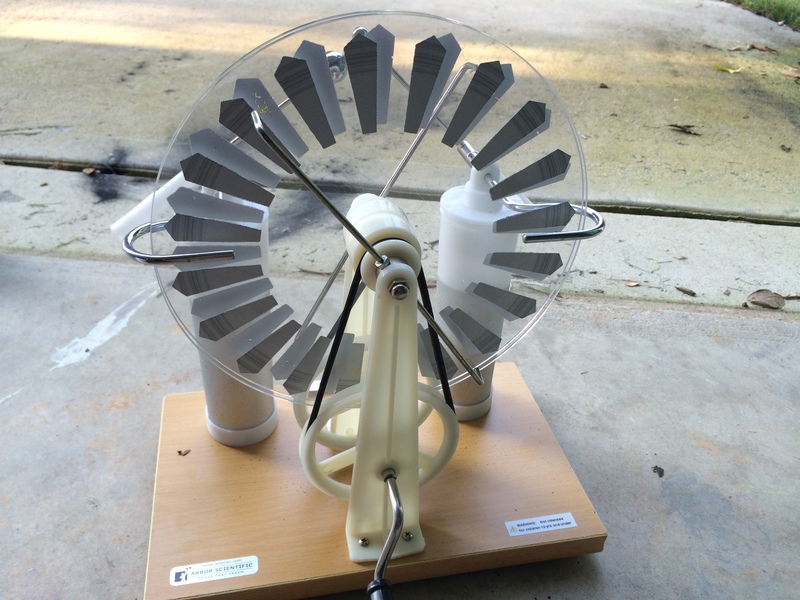 One advantage: you can leave the sheet completely obstructing the poles of the Wimshurst machine while you build up a maximal charge, then slide it to the side to trigger the discharge. 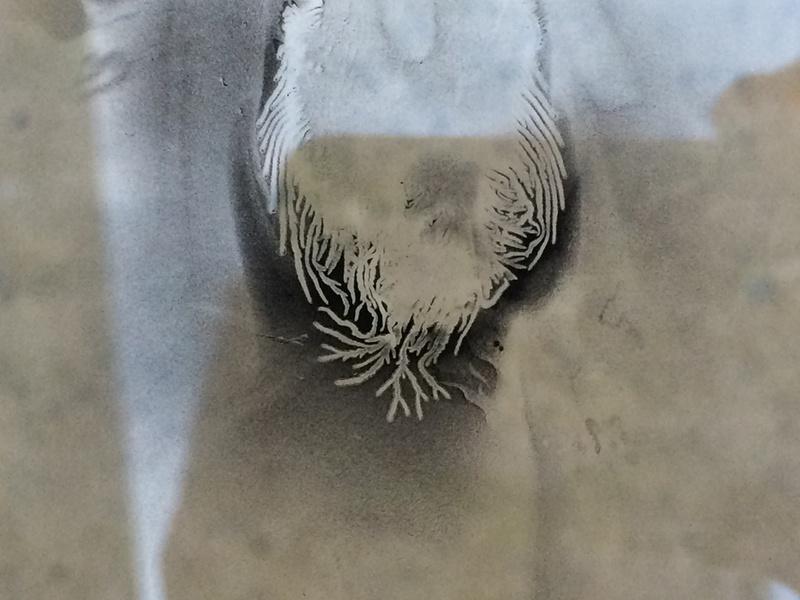 Another figure created by a discharge across the edge of the plate. This method was fine, but I really wanted to create elegant circular patterns, as Lichtenberg did. It occurred to me that I could simply drill a small hole through the middle of the acrylic sheet — the discharge passing through the middle of the hole would leave a nice pattern in its wake. This worked out quite well! A Lichtenberg pattern that looks like fireworks. Kaboom! Kablam! 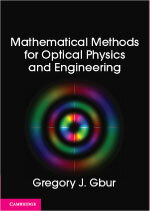 The patterns I produced typically had a radius of 1 or 2 centimeters at most, but they could look very striking. My best figure immediately made several twitter friends think of the Eye of Sauron. As the figures are only formed by static attraction, they can be easily wiped off and the same piece of acrylic reused more or less endlessly. After playing with these small figures for a while, it then occurred to me that I could produce two in a single shot by placing the hole off-center from the poles of the Wimshurst machine, as illustrated below. Two patterns appear in this case, one where the pole is touching the sheet, and another where the electricity goes through the hole. A couple of these patterns appear below. The patterns begin to appear Lovecraftian. With my images out of the way, it is interesting to see how they compare to Lichtenberg’s original 1777 results. He did not even have a Wimshurst machine to generate electricity — it was developed in the 1880s — but used a crude device known as an electrophorus. 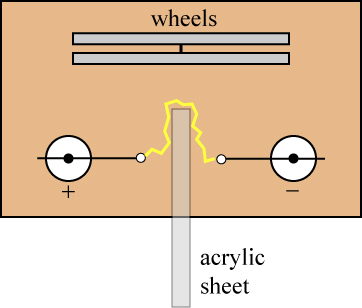 An electrophorus uses a metal disk and a dielectric plate to generate a large static charge. 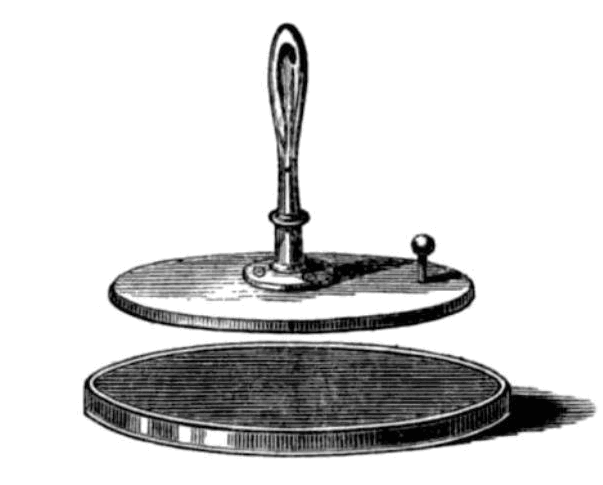 An illustration of an electrophorus, via Wikipedia. 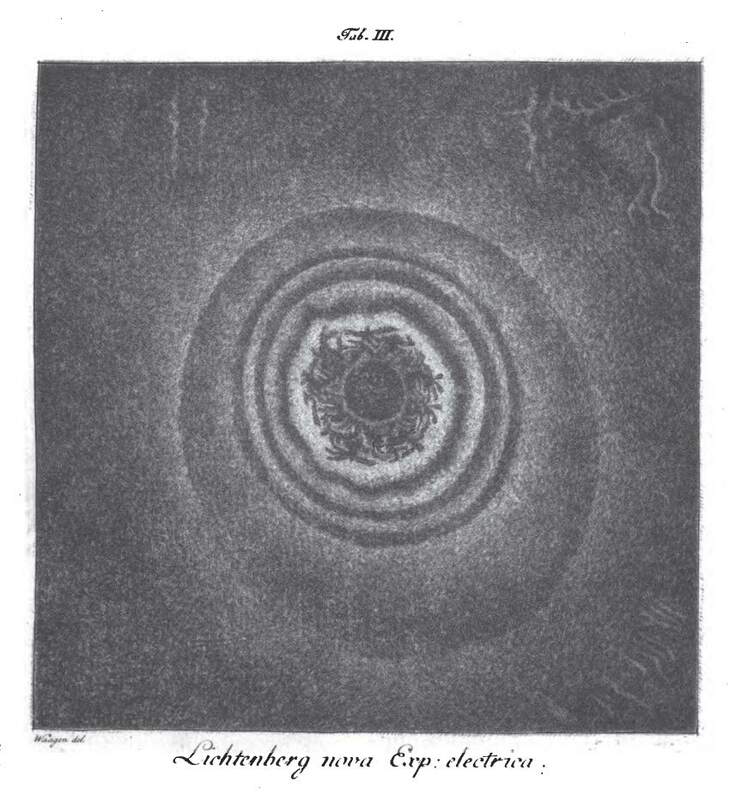 Figure 1 of Lichtenberg’s paper. At the time of Lichtenberg’s work, very little was known about electricity. I have blogged before about Benjamin Franklin’s crude electrical experiments in the 1750s, in which he unknowingly almost killed himself with his kite flying adventures. It would not be until almost ten years after Lichtenberg’s observations that the first quantitative law of electricity would be discovered, Coulomb’s law. Lichtenberg hoped that his observations would provide new insights into the nature of the electrical “fluids.” This was not to be the case, but the same process that Lichtenberg discovered would later form the basis of modern xerography — copy machines! It isn’t a coincidence that I used printer toner for my Lichtenberg figures, as modern laser printers use roughly the same electrical process to print documents. 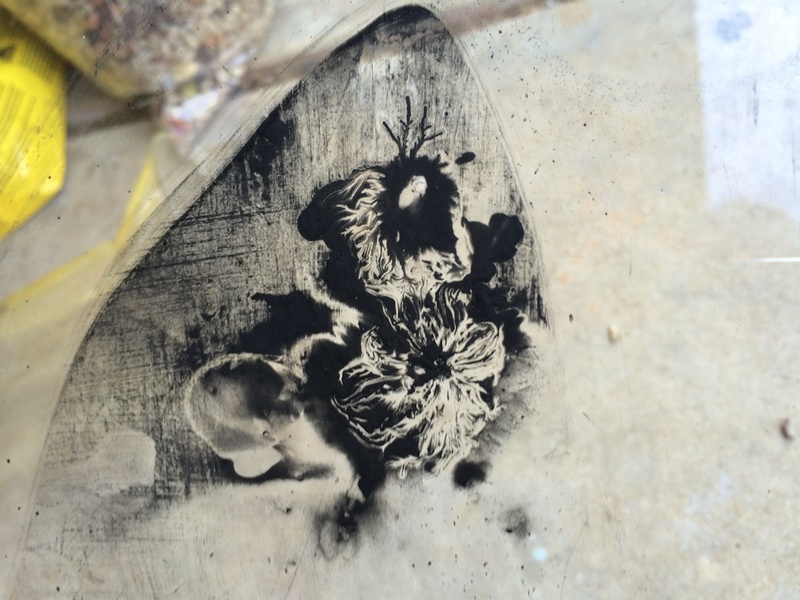 My rough experiments convinced me that making Lichtenberg figures is as much an art as a science, as the positioning of the machine and the spreading of the toner can be crucially important. I will probably try making more images in the future, and will share any interesting results I get. This entry was posted in History of science, Physics demos. Bookmark the permalink. medical linear accelerators can charge up the acrylic using a high doserate electron mode. 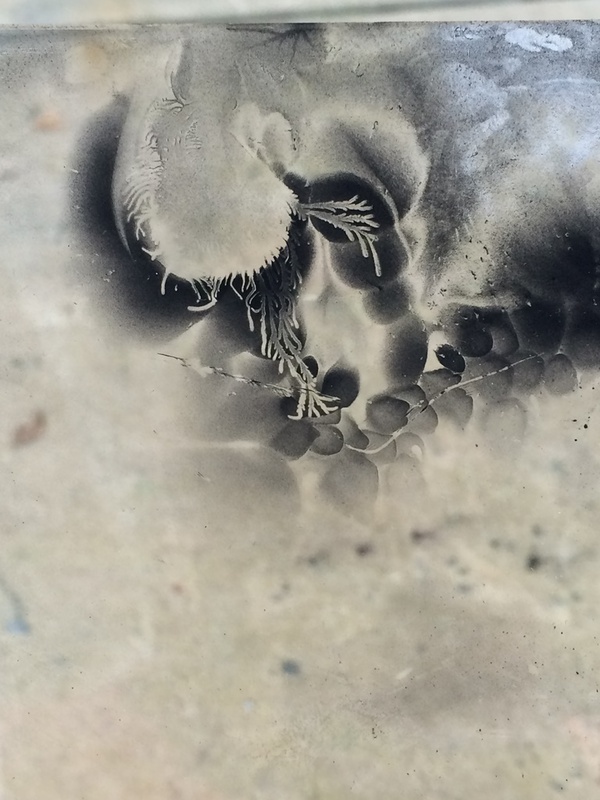 I am highly overjoyed to read about the Lichtenberg’s intriguing figures and the technique. Quite unknowingly, many years ago, around 1999, when I was working as a Scientist at ISRO, Ahmedabad (a dusty place), I used to have a PC tube monitor. Every morning when I entered the office, I found the Monitor screen covered with a layer of very fine dust. I happened to swipe a finger across the screen – and lo and behold, it made a very interesting pattern – mimicking the wake of a fast moving ship on ocean water. The beginning point was where my finger first touched the screen and the trail was along the direction my finger moved – but slightly deviating in the form of a curve. It became so very interesting and intriguing for me to play with this- making different patterns every morning. Sometimes multiple sets by hitting the finger at different places on the screen one after the other.This obviously used to happen due to the static charge retained on the dust due to the electron gun in the monitor. I wanted to record the entire happening BUT in ISRO, unfortunately, cameras are now allowed in and I could not record. I used to make line drawings about what I used to see every morning on the screen- highly fascinating patters that these were. I am not sure, after nearly 15 years, I can locate these drawings that I made. What are these patterns, how these are made and do these have any resemblance to Lichtenberg’s figures!!!!! Would be nice if the author can throw some light. Dr. Satyendra Bhandari – space.scientist@gmail.com. Those were indeed Lichtenberg figures, created by small surface discharges between your finger and charged regions on the glass surface of the CRT. You should have heard some light snapping or sizzling sounds as you moved your finger across the screen. These were from small electrostatic discharges (sparks) that traveled from your finger to and across the surface of the CRT in the region near your finger, leaving Lichtenberg figure-shaped redeposited charge on the glass surface of the CRT. Dr. Lichtenberg originally used the charged surface of a large electrophorus for his research. What you were doing on the glass monitor surface was actually quite similar to the experiments done by Lichtenberg over 200 years ago.